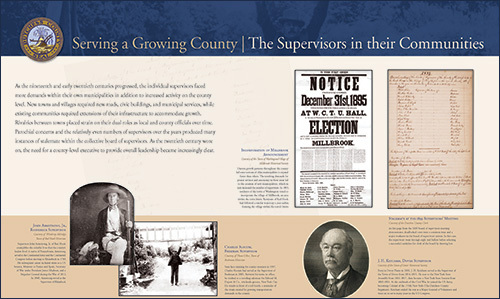 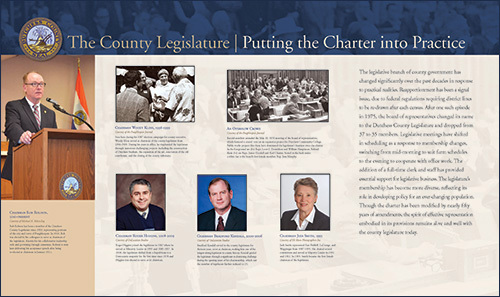 A new eight panel exhibit depicting the evolution of Dutchess County Government’s legislative and executive branches over the past 300 years is now on display on the 6th floor, “the people’s floor,” of the Dutchess County Office Building. 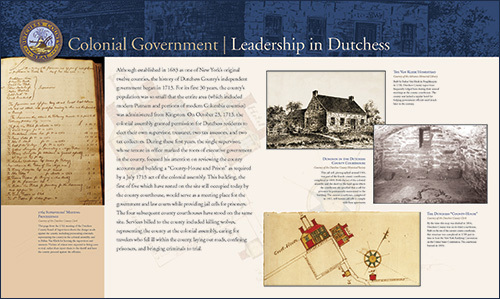 Dutchess County’s independent government began on October 23, 1713, when colonial government granted permission for Dutchess residents to elect their own supervisor, treasurer, tax assessor and tax collector. 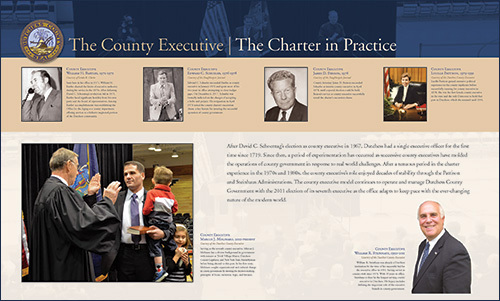 The panels look back to the early roots of Dutchess County Government, dating back to the colonial period. 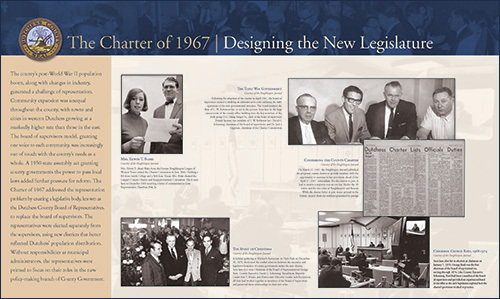 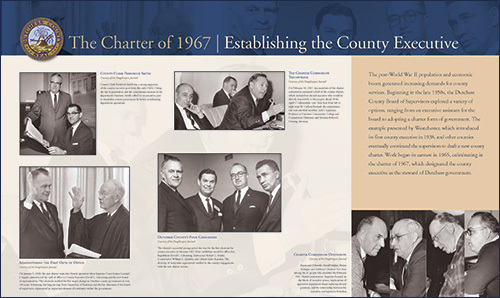 Particular attention is paid to the development of charter form government in the mid 1960s that led to the adoption of the Charter in 1967 and designated the County Executive position as the steward of Dutchess County Government. 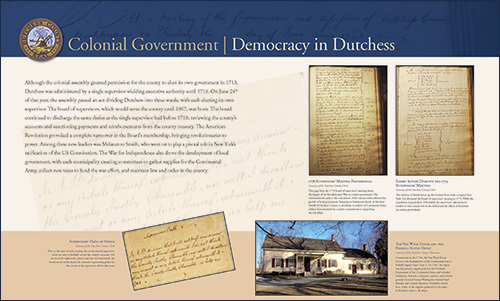 Special thanks to the Poughkeepsie Journal, East Fishkill Library, Dutchess County Historical Society for their assistance with various photos. 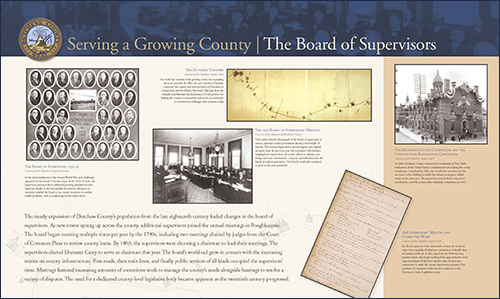 Assistance was also provided by New York State Archives and Pediment Publishing.